Today, the Soccer Gods smiled upon US Soccer for the first time in a long, long time. 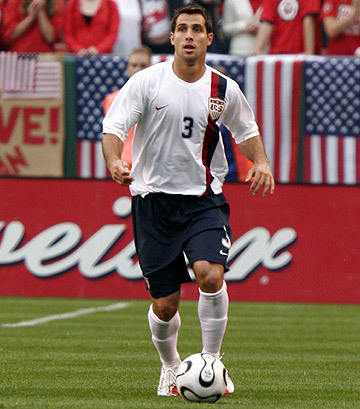 The Yanks were drawn into Group C along with England, Algeria, and Slovenia. That is a very, very manageable group. After 2006’s Group of Death (and subsequent death-like performance), this year’s group looks like a cakewalk. It won’t be, of course, but I certainly have more faith going into it. Perhaps the only thing that could have better for the Americans would have been if they were placed in the host country South Africa’s group. England, while obviously a top-flight team, has a style similar to the US. Several players play on domestic teams in the UK and are very familiar with the English players. The English will have more talent and skill than the Americans, but we only have to play them once and anything can happen in that opening game. I also have to mention the only other time the USA and England met in a World Cup. Click here to find out about the greatest upset in American soccer history.